Crafts from my heart to yours! 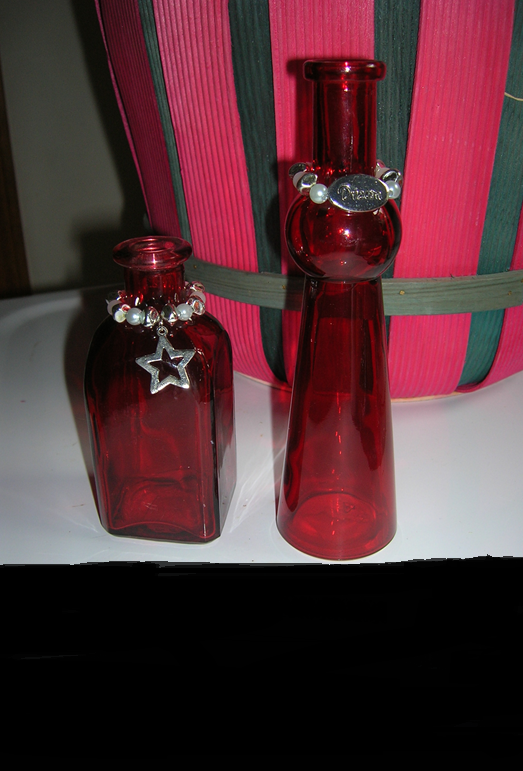 This spring I found some really cute colored bottles with clear plastic daisy “charms”... and I wanted more, more, and even more – – – BUT of my OWN design and my OWN price of course! So, the “bottle idea” that has slowly been simmering in the back of my head since February (and YES, that IS spring in Louisiana!) has FINALLY spring-ed sprung forth! After several “comme ci, comme ça” (which is just about the extent on my high school French) attempts at using wire to attach beads or charms to bottles the perfect solution struck me – WINE CHARMS! AND for further “wowzers”, I actually had some on hand AND I could put my stubby crafty little fingers on them! Well I finished off that package up in one sitting “sew” it was time to start looking for more charm rings and thought maybe, just MAYBE, I could make some of my own? So, heigh-ho, heigh-ho it’s off to the web I go! A search turned up several wine charm ring tutorials from wire loop earrings and memory wire and I had the further idea to use chain in place of the ring. With the addition of a few fresh seasonal flowers wouldn’t these make adorable party decorations – any where from sweetly old-fashinned to casual to sime-formal? I can see them as individual place setting decorations & take-home-party-favors for a wedding or shower. Fill the bottles with colored water. For Thanksgiving or a fall party group an old number of bottles of differing heights in the center of a round table for a greater impact as a centerpiece. For a rectangular candle place a rattan table runner (or four placemats) down the center of the table. For a beach wedding or party stagger bottles of differing heights, add water or sand and flowers to the bottles and lay sea shells & starfish, fishnet, etc. among the bottles. The possibilities are endless! You can even add paper hearts or other shapes on a bamboo skewer cut to fit the bottles. B.T.W. : Did you know you can EASILY clean old bottles with SALT WATER? This tip comes courtesy of my friend Maggie. Pour about a half teaspoon of salt in the bottle and fill with warm water. Shake up and then let sit (I waited overnight). Then simple empty the salt water and rinse out with warm water. The air dry and your bottle should sparkle like new! I REALLY like that you do not have to rinse and rinse and rinse some more to get the soap residue out of the bottle. Costs: This is a great rainy day activity and “use-it-up craft” to make something with the odd bottles & vases (new or old) and those odd & end pieces of jewelry, charms and beads you have laying around the house! Photo 2: Add beads and a charm to the charm ring or hoop earring . If the ring is not big enough to close around the bottle extend the ring a little with jump rings! Photo 3: As you can see darker beads show up better on clear bottles. White and translucent light colors will disappear against the clear glass. 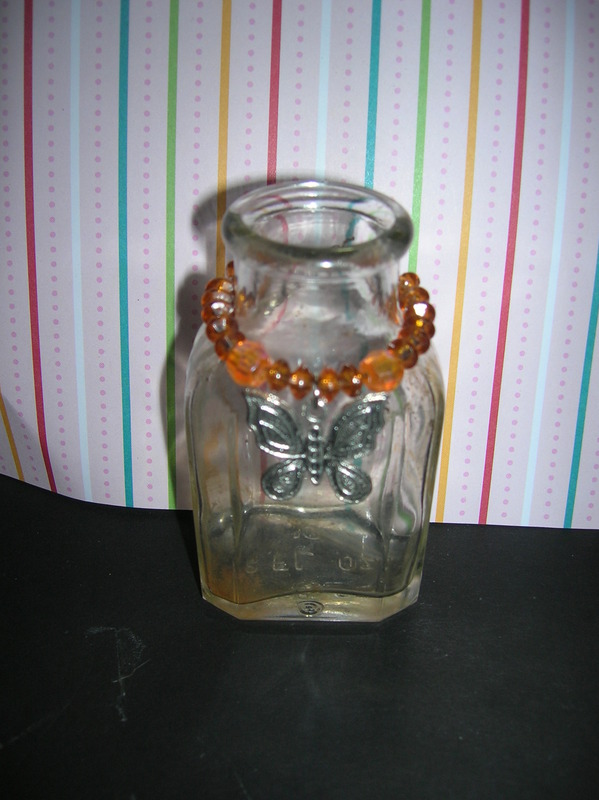 Use light colored beads on amber or other dark colored bottles. 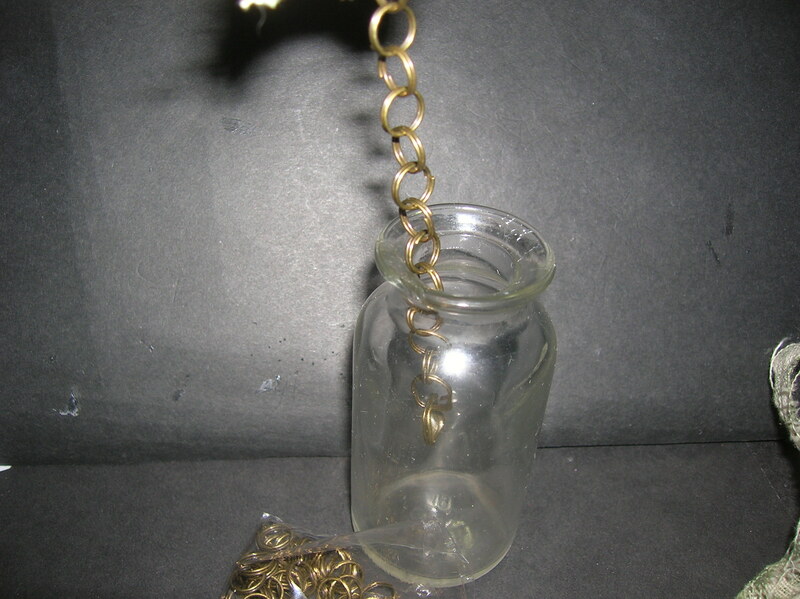 Photo 4: Another alternative is to use chain. 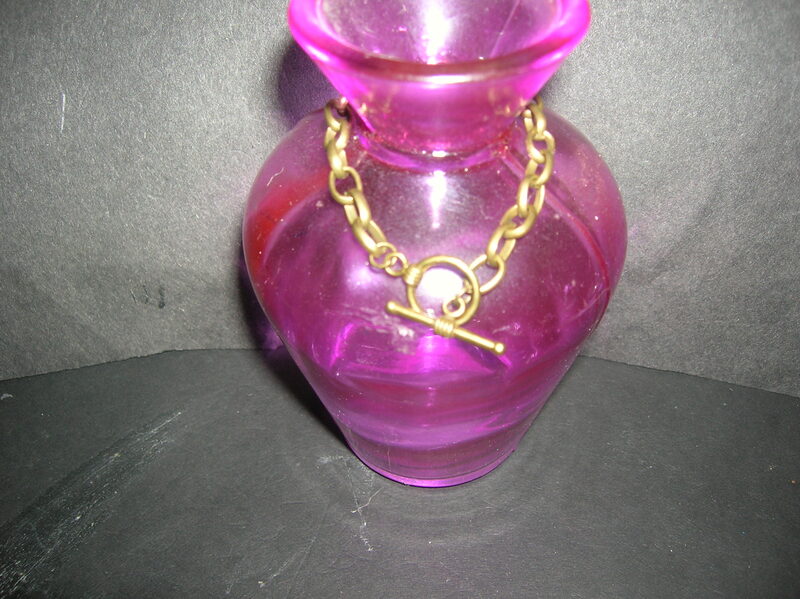 This actually is an old chain bracelet with a charm added. Photo 5: The back of the bracelet closes with a toggle clasp. Photo 6: You can even make your own chain by joining split ring jump rings! 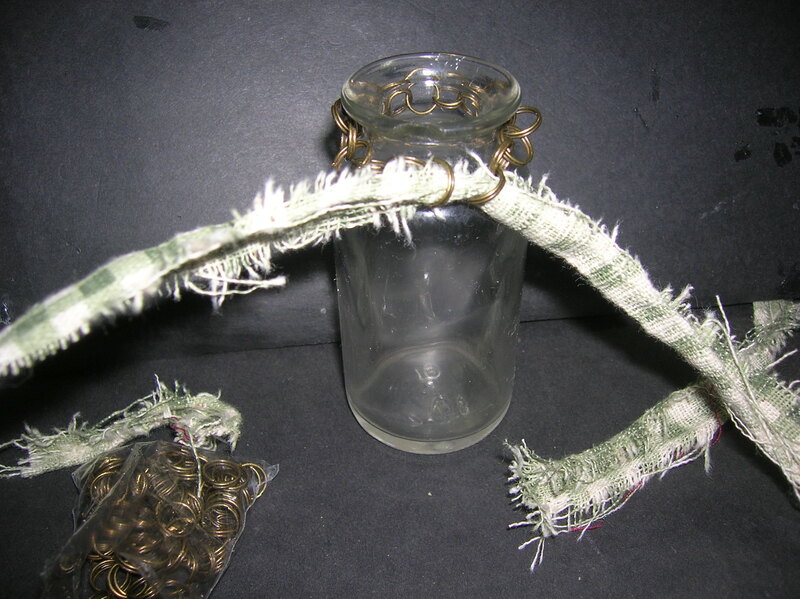 Photo 7: I joined the jump ring chain on this bottle with a short piece of torn fabric and then knotted it. The bottle actually has a chip in the lip (say that five times fast!). 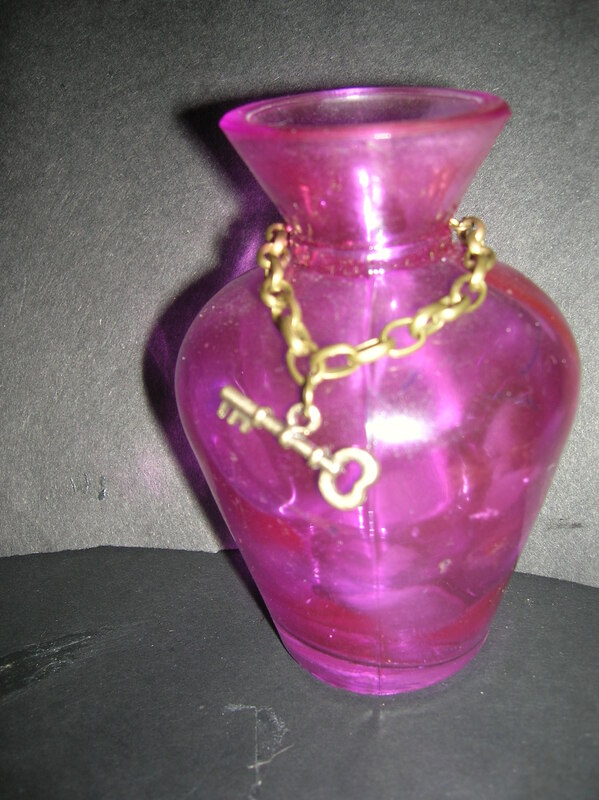 Photo 8: Add a key charm and you have the finished product. The fabric “knot” totally hides the chip! 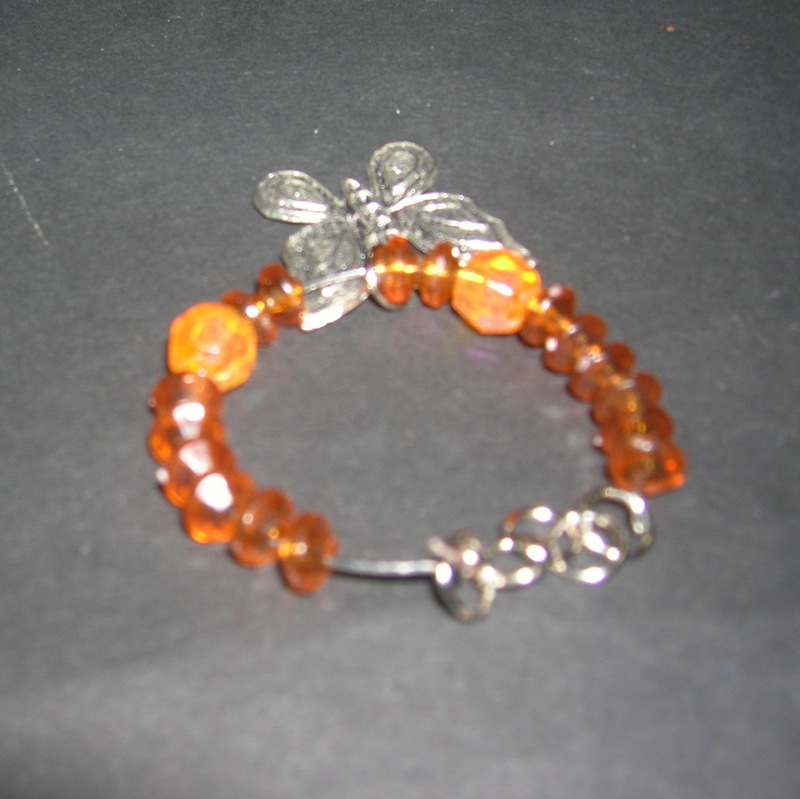 Photo 9: Canalize old bracelets for beads and charms! I got two bottle charms out of one old bracelet I got on sale for $1 years ago. I never wore it and it came in handy for this project. 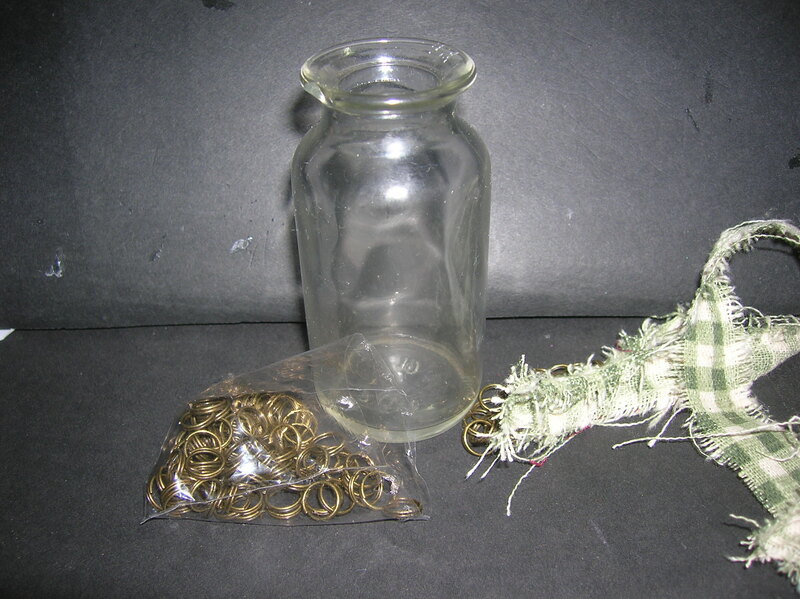 Note that oval or rectangle beads with a horizontal hole can only be strung on flexible wire. 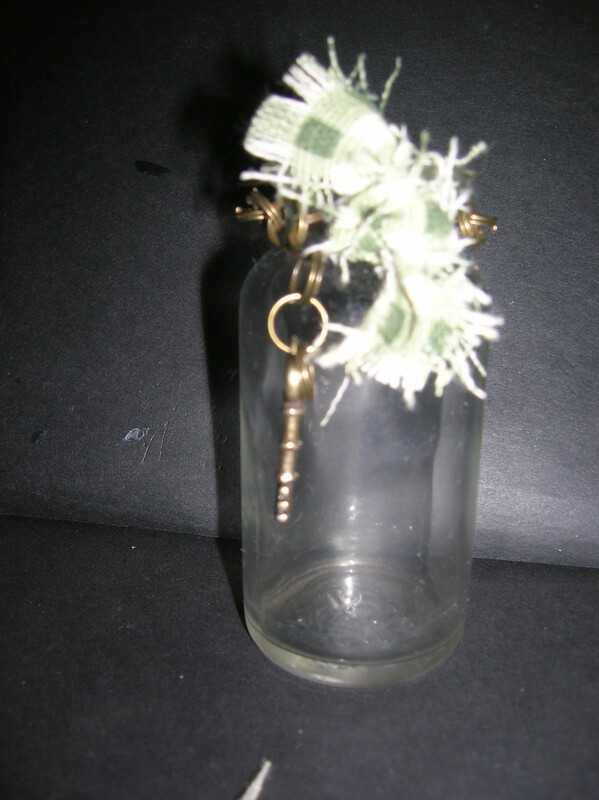 Thank you for taking the time to read my tutorial on decorating your bottle with bottle charms. I hope you enjoyed the tutorial and that you have great sucess in decoraing som four your windowsill . If you have any questions or if ANYthing is not clear, please let me know in a comment so that I can improve the tutorial.